If one thing stands out when it comes to the teams looking to make the playoffs this season, it would be a new batch of younger, hungry teams look to be October bound. There is nothing like rooting for the underdog come the playoffs, hoping they can knock off a team like the Yankees. Three teams stand out to me this year as teams to root for in the postseason. 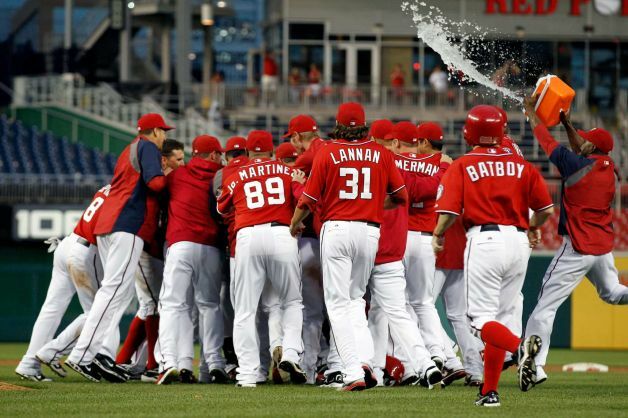 No one is surprised that the Nationals are making their first trip to the playoffs. What is a surprise is that it came this early. Washington is a team that did it the right way. Most of the Nationals talent are homegrown, from Stephen Strasburg to Bryce Harper. Sprinkle in some veteran pitchers(Gio Gonzalez), some cast-offs(Mike Morse), and one big free agent signing(Jayson Werth) and you have a team that could be a regular in the playoffs for years to come. Credit Gm Mike Rizzo for piecing this team together, and credit Manager Davey Johnson for getting them to gel. They will be interesting to follow, since Strasburg has been shut down, but this is a talented team that can go a ways just on their pitching. My guess? A NLCS appearance, before being knocked off in six or seven games. In my On Deck Circle last week(which is weekly on kvoe.com), I discussed just how this team has been winning. If ever there was a team of nobodies that are surprising baseball, this is the team. Not only that, they are doing it in a rough division, which has the Rangers, Angels and Felix Hernandez. 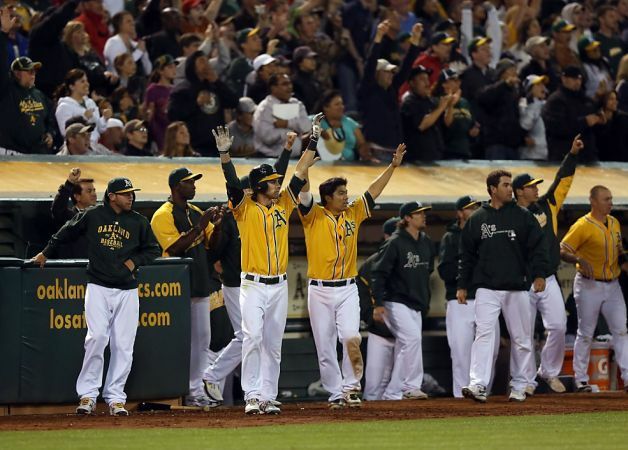 The fact they have gotten this far should be a sign of the great work of Billy Beane and Bob Melvin. But it is also a sign of what young talent can do, especially young pitching. Don’t expect any name players, or any stars to step up and dominate for this team. The concept of team is vital for this ragtag bunch, and so far it is guiding them to October. The A’s will probably be one of the wild card teams, so it’s a 50/50 shot of where they will end up. Either one and done, or going on to the ALDS. I wouldn’t expect them to go much farther, but so far they aren’t following convention. So if they go farther, don’t be surprised. Now, here is a team I can get behind! The Baltimore Orioles are having one of those miracle seasons that are just amazing to watch. This is another team built around youth and veterans, and the mixture is working so far. Buck Showalter continues his career trajectory of turning every team around that he touches, as the Orioles are poised to make their first playoff appearance since 1997. There are stars on this team, like Adam Jones, and there are some great young talent like Manny Machado. Throw in some Jim Thome, a dash of Mark Reynolds, and a pinch of Nate McLouth and you have a recipe for a resurgent Baltimore franchise. This team has gotten by this year thanks to great relief work, clutch hitting and late inning heroics. Those are actually all great qualities for a playoff team, so don’t be surprised if this team makes a big run. World Series, possibly? Possibly. Yes, it seems crazy, but there is no reason to doubt them now. This team has been winning when they need to all year, so another rush of wins isn’t out of the question. If not, it is still a great story to follow. What was once a storied franchise could now make a case to add to their legacy…and we gain by watching it! So there you go. Three teams to watch in the playoffs this year that can fill your heart with shock and awe. October can be a kooky month, so don’t be surprised if one of these teams makes a late appearance. Before you snicker and say no, who had the St. Louis Cardinals as the World Series Champions a week before the end of the 2011 season? Didn’t think so. So get ready folks, the playoffs are coming and don’t expect to see it coming. Trust me, it will be worth it.